Shortlisted for the Man Booker Prize 2009, this is a fictionalised account of the life and work of Dr Matthew Allen, the owner of an asylum on the outskirts of London in 1840. The tale recounts the progress of Dr Allen's practice. Foulds balances the lives of those that work in the asylum, the treatment of the patients, the well-meaning Allen and his devoted, but long-suffering family. The patients include a number of high profile writers. The naturalist poet John Clare lives within the grounds. Renowned for making a bid for freedom to explore the gardens and surrounding woods, his very existence is threatened by his total immersion in this world. Alfred Tennyson brings his brother there for treatment and finds his - and his family's - life tied to the fate of Allen in more ways than one. Foulds manages to weave trance-like depictions of a descent into madness into the minutae of everyday Victorian life. This is a gentle, transporting and evocative depiction of the scientific and creative advances of the Victorian age. It has a dreamlike quality with occasional violent interruptions that show the underlying brutality of the age. There is no doubt that Foulds wears his erudition lightly. It is a nice book. It is a pleasant read. These are not the words I associate with the Booker prize shortlist. I didn't find it particularly gripping, but if you like your historical fiction with a gentle literary flavour, then this one is for you. Have you read Sebastian Barry's The Secret Scripture - on the Booker shortlist a year or two ago? An original and a deeply moving account of overlapping subject matter, an Irish asylum over the course of the 20th century. 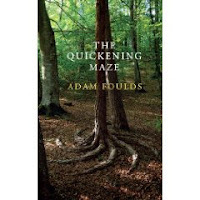 The final plot twist a little contrived but an astonishing book in its examination of sanity, insanity, morality, immorality, healers and the healed - would be interesting to hear your take on it in light of Foulds' Quickening Maze. Annie - thanks for the tip. I read this in Jan and have been in non-fiction/popular business overload at the mo, so craving a bit of fiction. Will add to Feb/March list.